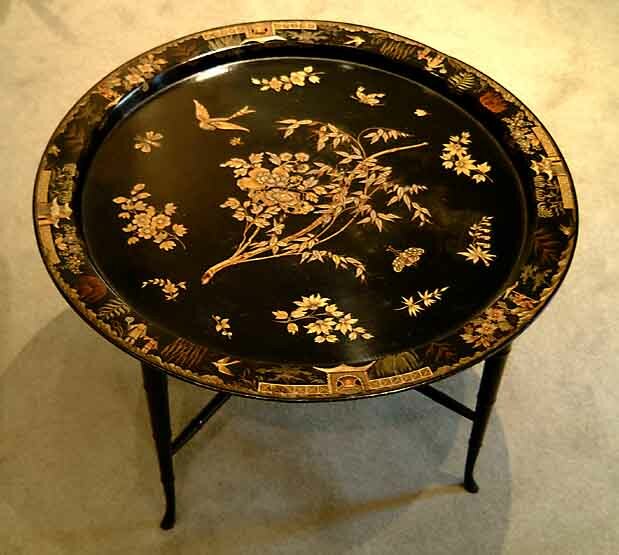 Decorative Items, Accessories, Treen and Metalware. Click on pictures for enlarged image. Please contact the gallery for pricing. 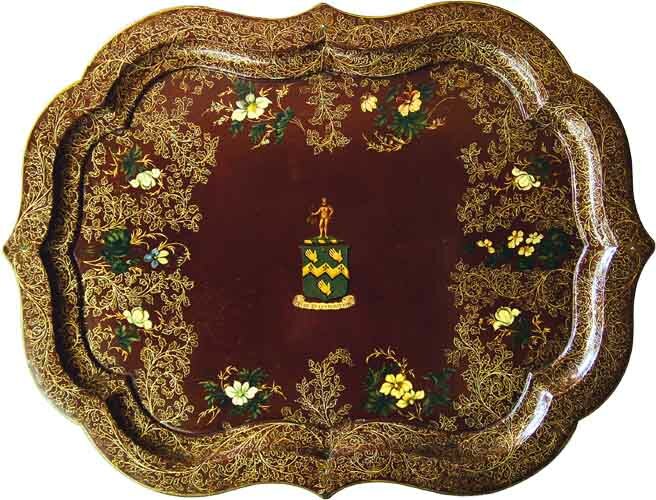 Tray bearing the Arms of Bates. The family are described in Frederic Boase's 'Modern English Biography vol. IV 1908 as London Bankers. Width 62 cm, Length 81.5 cm. Papier Mache Tray. Mountain Views. 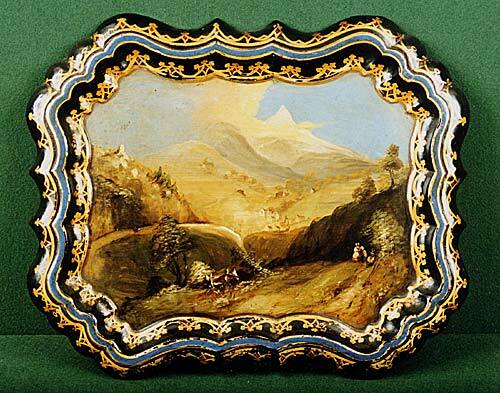 An attractive painted papier mache tray. Modern simulated bamboo stand . Top 49 cm x 62 cm. Height 41 cm. 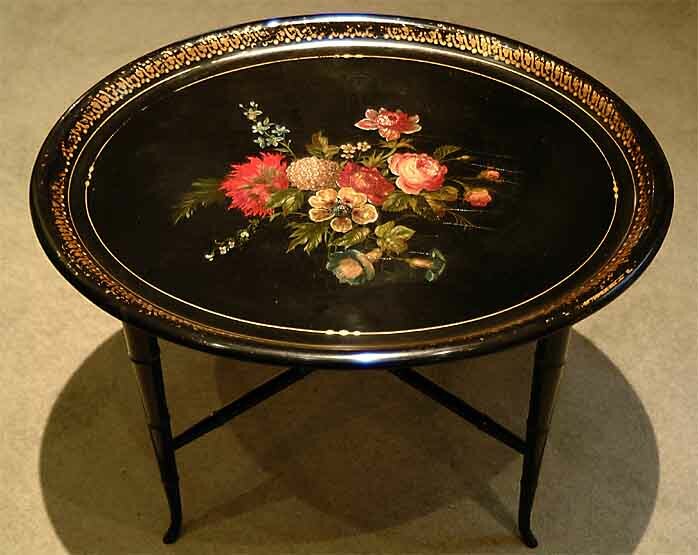 A good black laquer chinoiserie decorated papier mache tray on stand. (Stand modern).